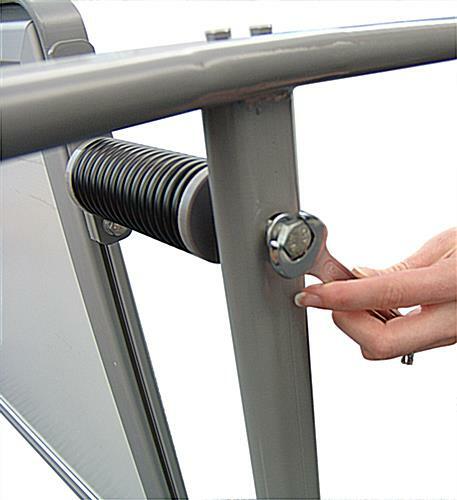 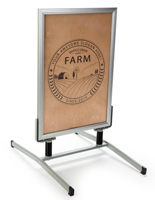 These wind-resistant sign displays use steel springs to keep the sandwich boards standing upright outside where breezes may be. 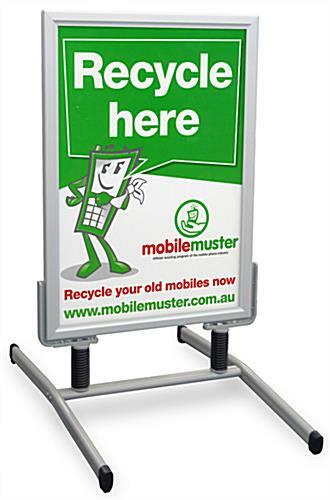 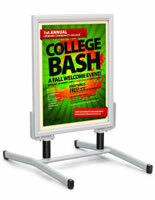 The portable sidewalk advertising can be transported indoors when the weather gets bad or after business hours. 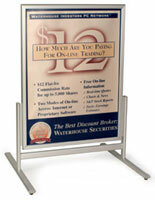 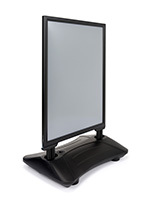 The sign displays with protective lenses keep graphics stored inside safe from damage and dust. 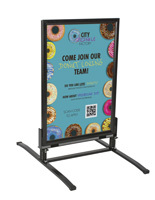 The 23” x 33” snap frames on the sandwich boards help to make graphics changes in the portable holders as fast as possible. 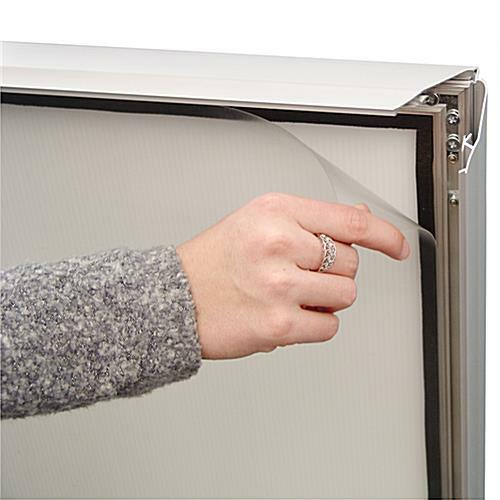 The displays are made of aluminum, which is what helps to protect them against weather. 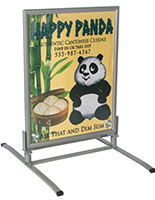 The portable sidewalk stands are colored silver with a satin finish to help to attention from customers without overpowering the graphics.